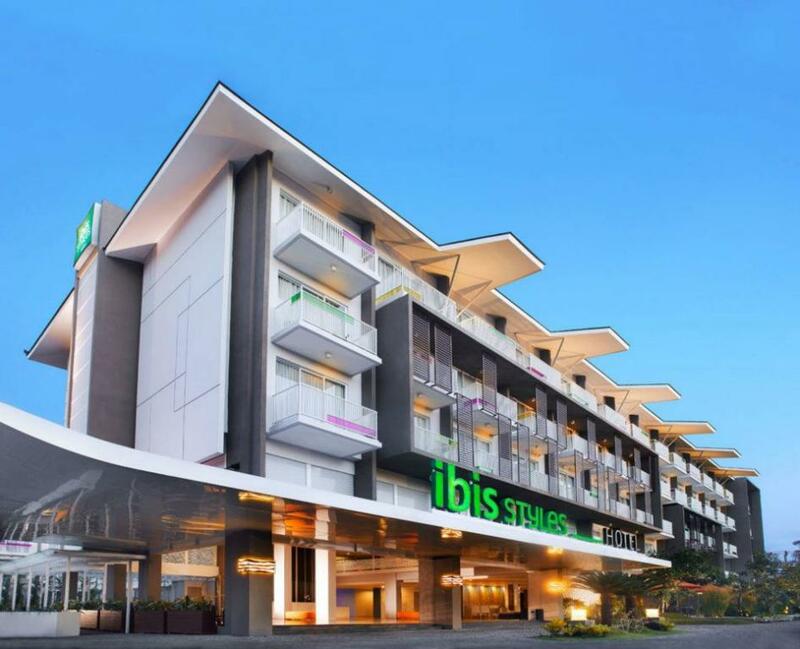 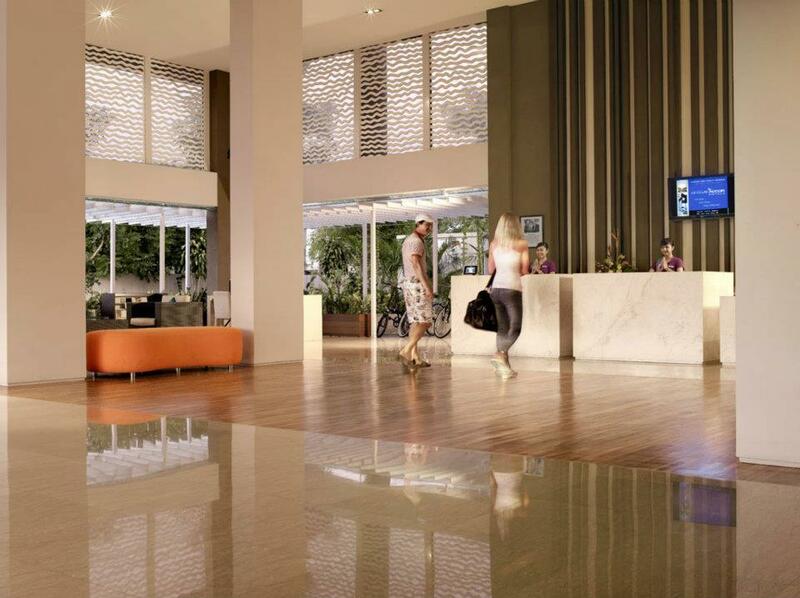 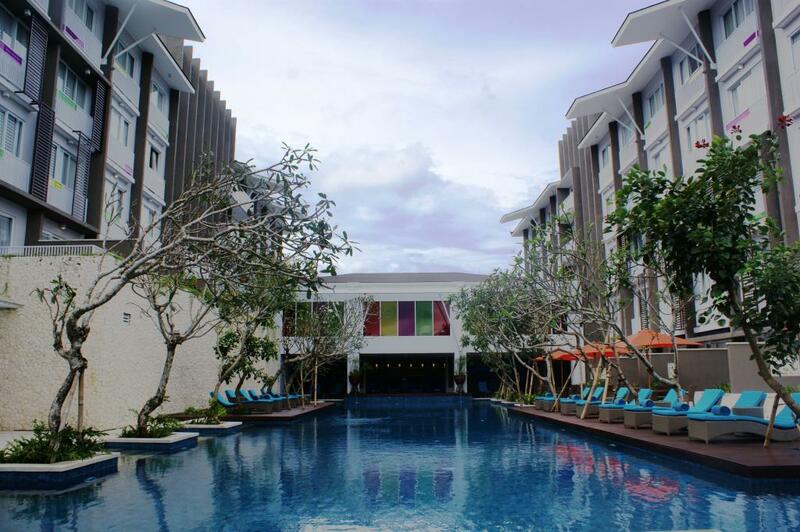 Offering comfortable, modern accommodation, Ibis Styles Bali Benoa is conveniently located minutes from Nusa Dua Beach and the Bali Collection Shopping Mall and is just a short drive from the popular attractions at Kuta Beach, Uluwatu Temple and Ubud. 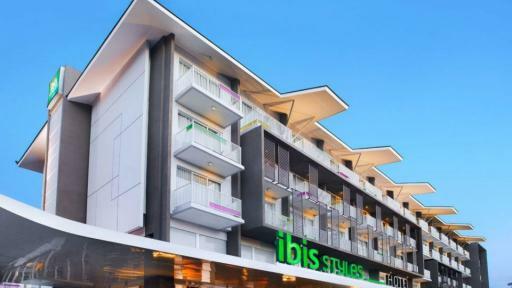 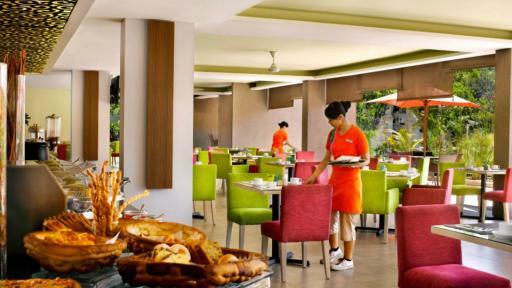 Accommodation at Ibis Styles Bali Benoa offers more than 170 guest rooms and suites to choose from, each with a great range of amenities including air conditioning, an LCD TV, free WiFi and picturesque views out over the lush landscaped pool. 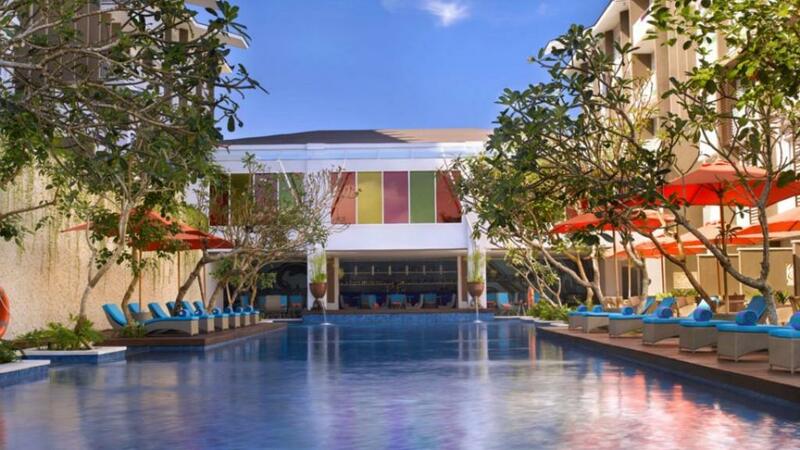 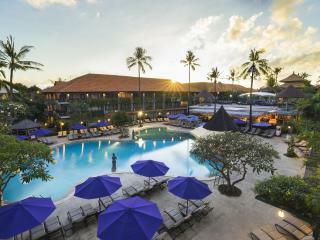 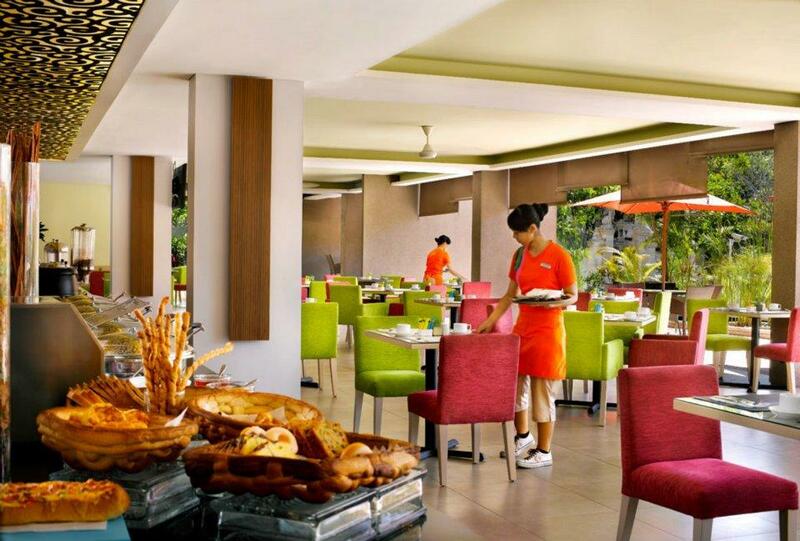 Ibis Styles Bali Benoa also boasts an excellent range of onsite leisure facilities including a swimming pool, fitness centre, room service, pool side bar, complimentary shuttle service and an indulgent day spa. 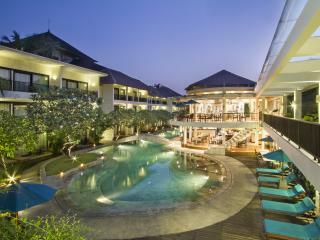 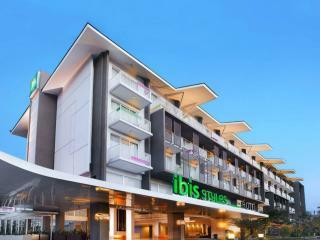 There are 174 rooms and suites at Ibis Styles Bali Benoa, with some featuring balconies and views over the pool and gardens. 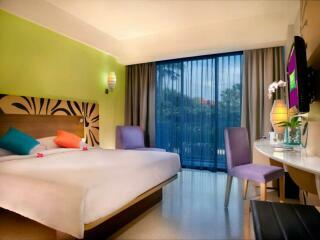 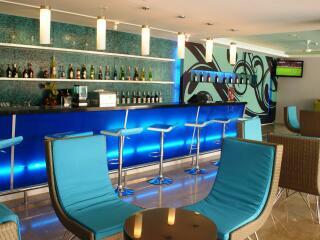 Standard Room: Room size is 24m². 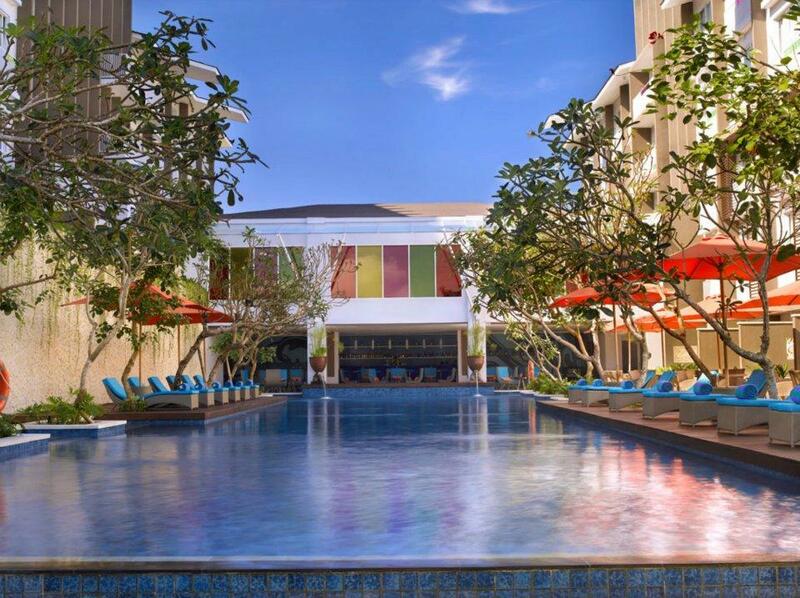 Most rooms overlook the pool. 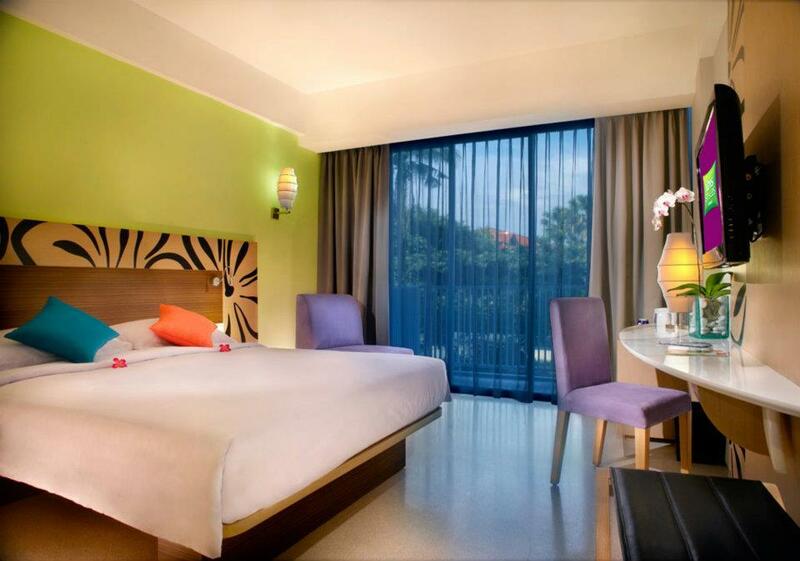 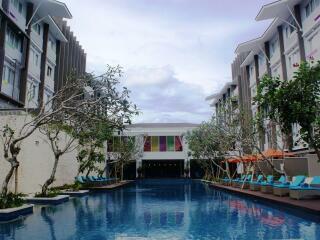 Standard Room with Balcony: Room size is 24m². 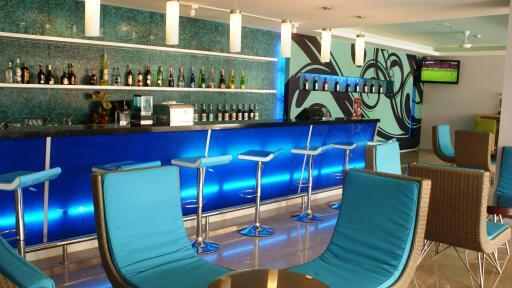 Features a balcony. 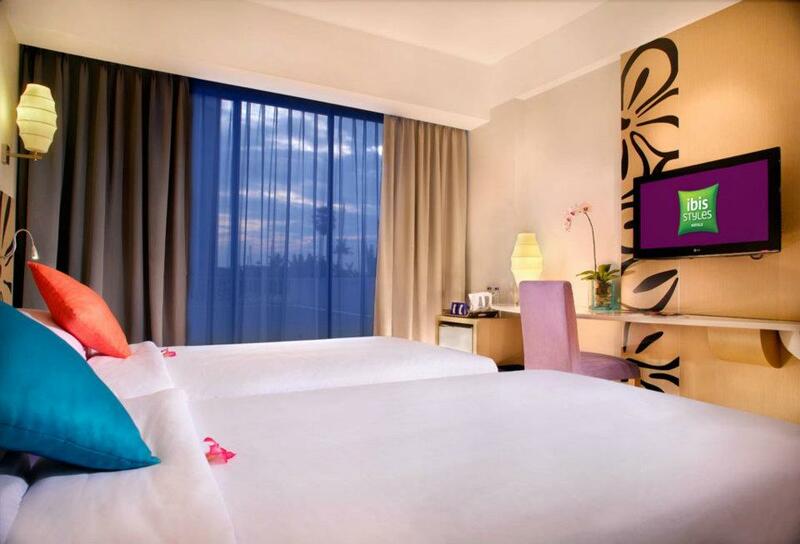 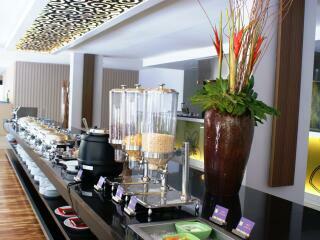 Junior Suite: Room size is 34m². Features a balcony and living room with sofa. 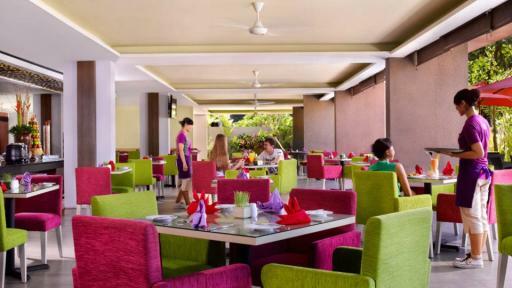 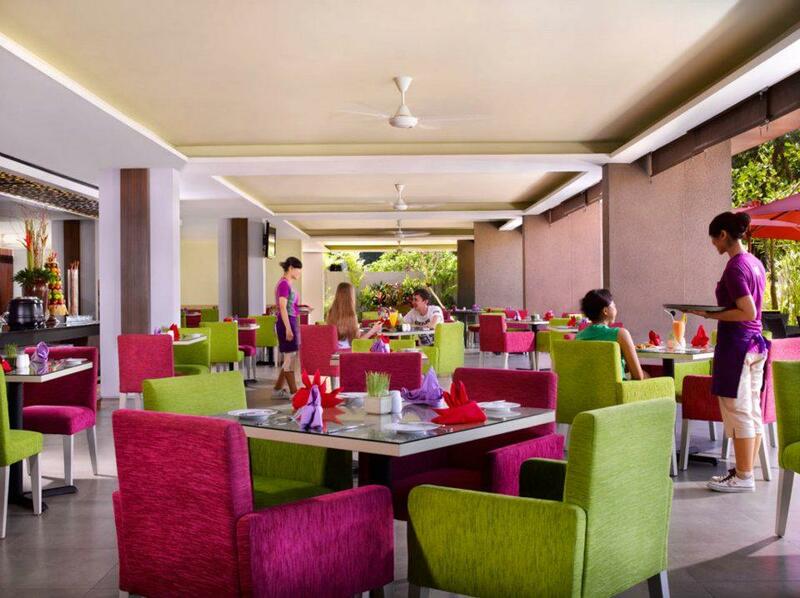 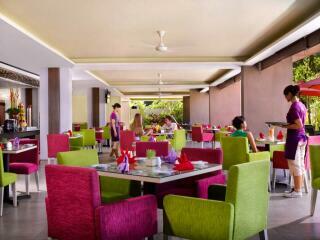 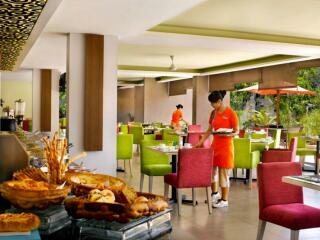 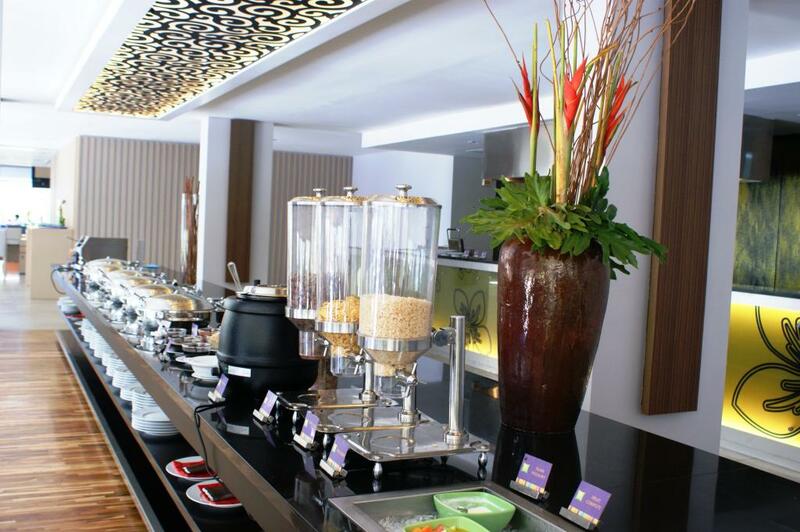 Streats Restaurant: Offers a truly interactive culinary experience combining the best of Balinese, Asian and Western Cuisine. 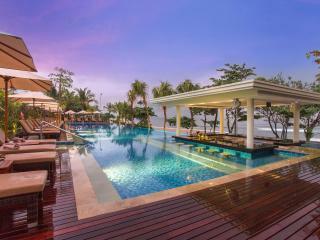 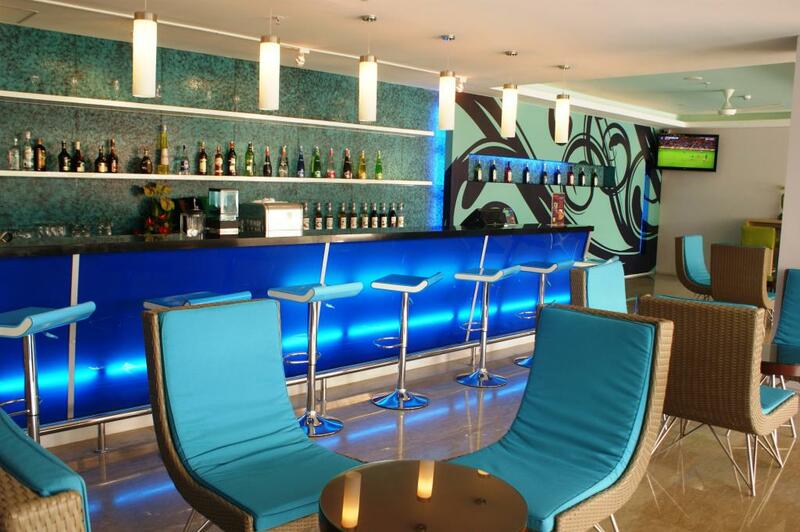 Streats Pool Side Bar: An exclusive venue providing the perfect setting for sparkling cocktails, wine, beer, fruit juices and snacks while having a cool dip in the pool.